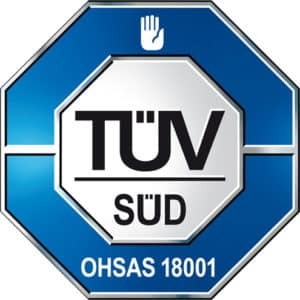 An audit was performed by certification body for management systems TÜV SÜD Slovakia s.r.o in August. It concerned the Occupational Health and Safety Management System - the application of the requirements of OHSAS 18001:2007. Proof has been furnished that the requirements according to OHSAS 18001:2007 are fulfilled. Wesconi s.r.o. has established and applies an above – mentioned system for projects realization in field Greenfield and Brownfield, temporary executive management, supplier and purchasing management and manufacturing processes in companies of various spheres of activities. “Thanks to the Occupational Health and Safety Management system we strive to develop the relationships and create especially safe working environment not only for our internal employees but also for our external project staff,” said Head of Quality & Processes Ing. Ján Ševčík.